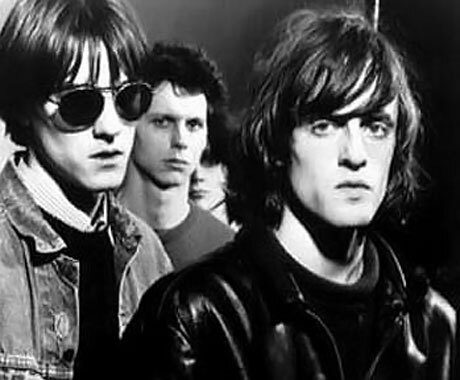 Shoegazing psychedelic punks Spacemen 3 may never get back together. While a guitarist Pete “Sonic Boom” Kemper took part in a partial reunion gig in London last summer with other former members, co-founder and Spiritualized leader Jason Pierce declined to participate in the event. Barring some miraculous appearance at ATP or Coachella, we will just have to make do with their hazy back cataloge. And lucky for us, we’re about to get hit with some more reissues. As for 1987’s “Transparent Radiation,” it is backed by “Ecstasy Symphony,” “Transparent Radiation (Flashback),” an unedited version of “Things’ll Never Be The Same” and a ten-minute cover of Motor City proto-punks the MC5’s “Starship”. Finally, the repress of 1988’s “Take Me to the Other Side” finds an instrumental outtake of “The Perfect Prescription,” as well as “Soul 1” and “That’s Just Fine” on its flip. All three singles will be released February 17 and follow last year’s Spacemen 3 vinyl reissue campaign, which saw their albums Sound of Confusion, The Perfect Prescription and Performance all get repressings on wax.